Twitter today shipped an update that adds in-stream video and image previews to the main feed in its iOS, Android and web apps. 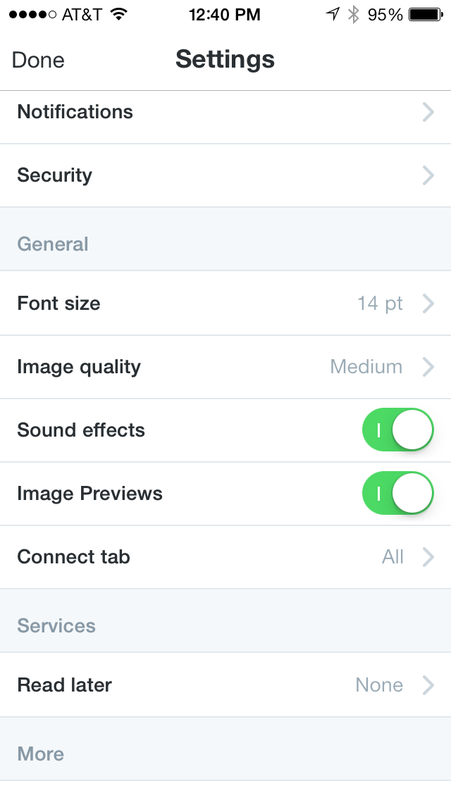 Previously you would have to tap on links for images via Twitter or video service Vine. Now you can see them right in the feed. Update below. At this point, the previews will just be for Twitter photos and Vine videos, though we can imagine that expanding to other formats. Not to sound too toot-my-own-horn-ey but this is the way that Twitter has been headed for some time, as I noted late last year. Twitter has also tweaked the tweet actions like faving, retweeting or replying to allow you to do that right from within your timeline. If that feature sounds familiar to you, you might have been in one of Twitter’s test groups, where it has been trialing this change for a few weeks. As for why Twitter is doing this, well there are a few things that jump to mind immediately. First off, it’s aesthetically pleasing — images and videos make the stream look friendlier than a stream of text to new users. Also, it provides an opportunity for advertisers to ensure that you see their media. If they use Twitter’s image hosting and Vine, you’re going to see the visual part of their ads, period. Previously you’d have to tap a link in an ad tweet to see that. The side-effect of these changes, of course, is to lower the information density of the feed overall when it comes to text. If you ascribe to the “picture is a thousand” words adage, though, perhaps it’s increased a bit. In advance of its IPO, Twitter is in the process of trying to prove its usefulness to users to ensure that its somewhat slow user growth numbers reverse the cycle. One of those efforts is a new breaking-news notification experiment called @eventparrot. This update isn’t the big one we’ve been waiting for, with major updates to its TV offerings and more, but rather more of a maintenance release designed to slip in a bunch of features across the app. Note that you can toggle these in-line previews off in the apps (but not Twitter for web) if you wish, at least for now. The new look for photos and videos is available for Twitter’s Android, iOS and Twitter.com apps. Update: And here’s what I meant by Twitter advertisers being served by this image expansion feature. As Van Slembrouck notes, Twitter effectively just launched display ads. What do you think about the new Twitter in-stream image and video previews, are they for you?